You will need JDK 8+ and a Java IDE installed on your machine. You should have some familiarity with Java development and Spring Boot. In this tutorial, you’ll learn how Chatkit’s authentication process works and how to create a custom authentication server in Java. Chatkit is a service that comes with a lot of features to add chat functionality to your web and mobile applications, without sacrificing the flexibility to integrate it with your existing infrastructure. One example of that flexibility is the way Chatkit allows you to define your own authentication flows. 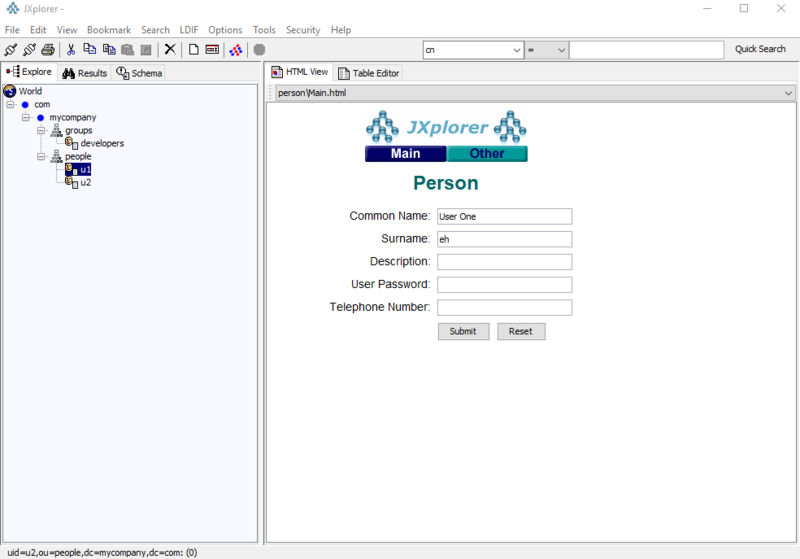 For this tutorial, we are going to assume that the user information is stored in a directory server (like Active Directory) that can be accessed through LDAP. This way, the server checks if the user exists in the directory server and if that is the case, it generates a JSON Web Token (JWT) in the format expected by Chatkit so the user can access the chat. The focus will be on how to build the authentication server, so this tutorial won’t cover how to build the React application for the chat. We’ll clone an adapted version of the chat app built by Alex Booker in this video tutorial to test the server. If you want to build your own chat, you can follow that tutorial or others. Like this one to build an HTML Chatbox. Or this one that integrate a chat into a chess game. For reference, here you can find the entire source code for the server. To keep things simple, I’m going to create two users and a room for the chat using the dashboard instead of using the API or a Server SDK to create that functionality into the application. You don’t need to add the other user to the room. Chatkit will added automatically the first time she uses the chat. Now let’s set up the project for the server. You can choose any group and artifact identifiers you want, but in this tutorial, I’ll use the ones specified above to refer to the files of the project. Click on the Generate Project button, download the ZIP file, extract it and open the project in an IDE. I recommend IntelliJ IDEA Community Edition. And import the changes to the Maven project so these dependencies can be downloaded and added to the project. We’ll use unboundid-ldapsdk to configure an embedded LDAP server and java-jwt to generate the JSON web token for Chatkit. We are going to work with an embedded LDAP server to make the project easy to run and test. 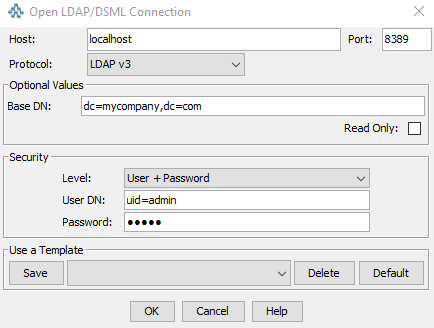 This will tell Spring Boot to start an embedded LDAP server on port 8389 with the base DN dc=mycompany,dc=com (the point from where the server will search for users) and the content of the file schema.ldif. And create a user for the server with the credentials admin/12345. Now let’s see how to query these users. Now let’s create the authentication endpoint to determine if the user exists and generate the JSON web token. The client defines a token provider from which a JWT is requested. The client requests a JWT from this provider. The token provider server receives the client's request, validates it, and returns a valid JWT. The client is now ready to make requests to the Chatkit service with the JWT. There are Server SDKs for Node.js, Go and other languages, that provide helper methods for this process. However, it’s also possible to generate tokens without the help of the server SDKs using a JWT library and language of your choice. If the user is not found, a BAD_REQUEST status (400) and an error message will be sent to the client. Otherwise, we’ll generate and send a valid token to the client. Remember the values from the Credential section of your Chatkit instance dashboard? Notice that the last part of the Instance Locator is the value of the instance ID. And the Secret Key is composed of two parts, the ID of the key, and the secret key that you’ll use to sign the payload of the token. Finally, since this endpoint will be called from another application (in another server), we need to specify the CORS headers to allow this. And that’s all for the server. Run the main class of the project (com.example.authserver.AuthserverApplication.java in my case) to start the server. But as mentioned before, we’re going to use a sample chat application made with React to test the server. The URL of the authorization endpoint of your server (for example, http://localhost:8080/authenticate). In src/ChatScreen.js, enter the ID of the chat room you created in your Chatkit instance dashboard. Next, in a terminal window, cd into the app directory and execute npm install to install the project dependencies and npm start to run the app. You have learned how to create a custom authorization server for Chatkit in Java. Chatkit has a test token provider, however, its use is not recommended for production. For some languages, Chatkit provides server SDKs that abstract most of this functionality, but if there is no SDK for the language or technology you are targeting, you can use the concepts of this tutorial to build a solution. You can know more about the authentication process in this page from Chatkit’s documentation. Add a sudo claim to the token for certain users (remember that this claim is required if the user wants to perform create and delete operations. Implement more functionality on the server-side, for example, user creation (check out the Chatkit API reference). Remember that all of the source code for this application is available on GitHub.